Many fans (especially the female ones!) 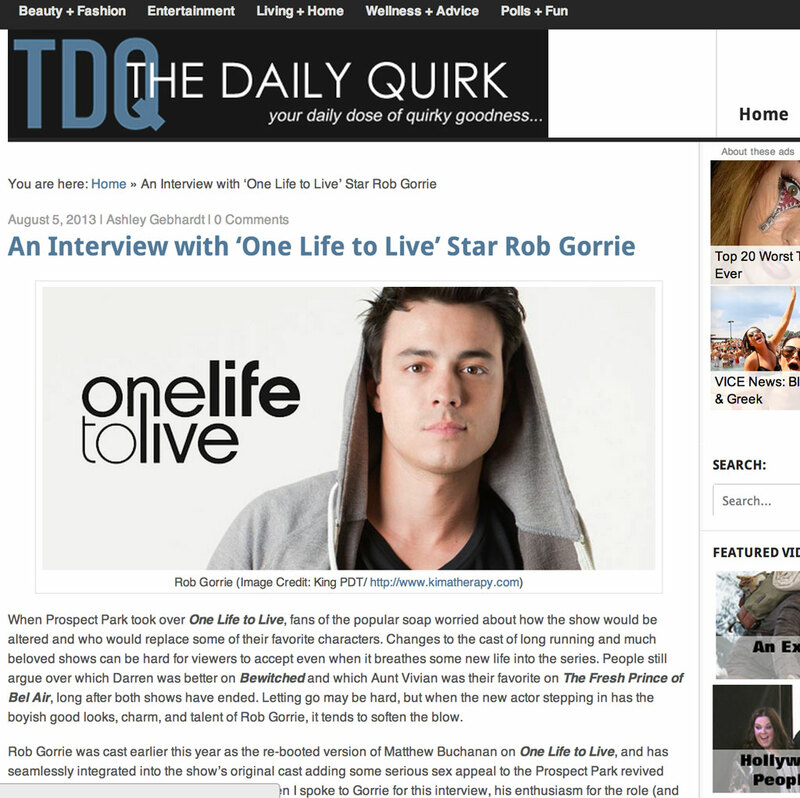 have been looking forward to interviews with Rob Gorrie on his lead role on ABC Network’s “One Life to Live.” Interestingly, he was even given a “life-talk” by Snoop Dogg himself on an episode! 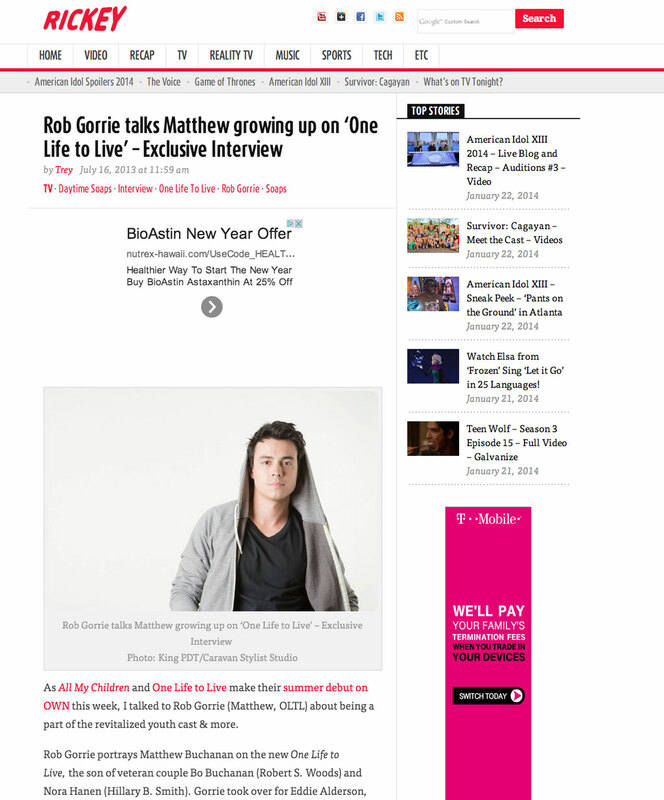 Check out the interview, here.